The Death Star approaches the Rebel Alliance base on Yavin 4. If it fires its superlaser, the Rebel Alliance will be exterminated forever. The Rebellion’s only hope is to to fly a few small, one-man fighters close enough to launch a proton torpedo into a vulnerable exhaust port. 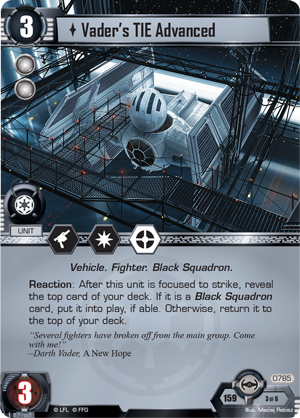 If that weren’t enough, the ace fighters of Black Squadron stand in the Rebel’s way. Prepare for your mission with the Attack Run Force Pack, now available for Star Wars™: The Card Game at your local retailer and online through our webstore! 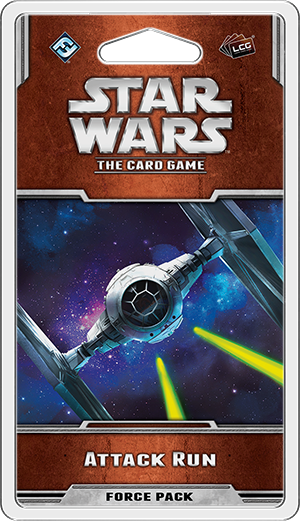 This expansion invites you to relive the climactic ending of A New Hope as the Rebellion’s fighters clash with the TIEs protecting the first Death Star. 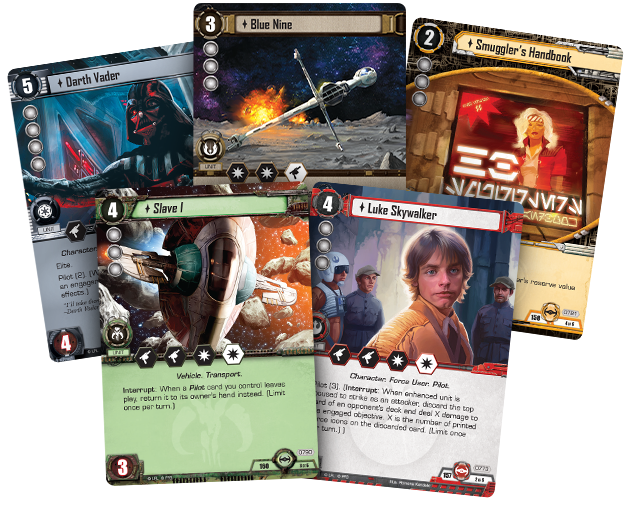 New pilot versions of Luke Skywalker and Darth Vader lead their respective sides with powerful abilities and a new fate card included only in this Force Pack. In addition, you’ll be able to hunt down your prey with Boba Fett and Slave I, fly with Blue Squadron and Keyan Farlander, or evade system authorities with the renowned smuggler, Platt Okeefe. In our announcement, we looked at the new version of Luke Skywalker, who can potentially destroy an objective without a single combat icon. Luke’s mission isn’t without danger, however. In fact, he’ll face some of the Empire’s most capable pilots: Darth Vader and the aces of Black Squadron! The Death Star is enormously powerful, but its destruction would be a significant victory for the Rebel Alliance. 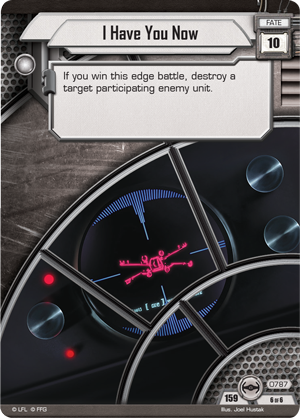 You must be careful to defend the Death Star until you can unleash its limitless power on your opponents. It’s thematic, therefore, that this objective set begins with Defending the Trench (Attack Run, 783). This objective provides two resources and features a damage capacity of ten – twice as much as the standard objective. However, while this objective is in a victory pile, it counts as two objectives. If you fail to defend this objective, your opponent may steal the victory from your grasp. Fortunately, you have the Fighters of Black Squadron on your side. 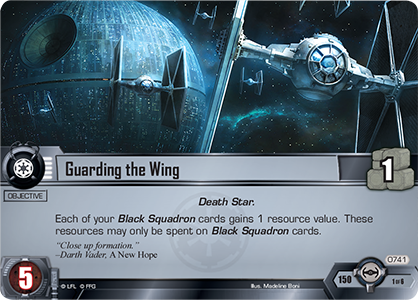 This set includes one Black Squadron Fighter (Attack Run, 743) that can be effective on attack or defense. 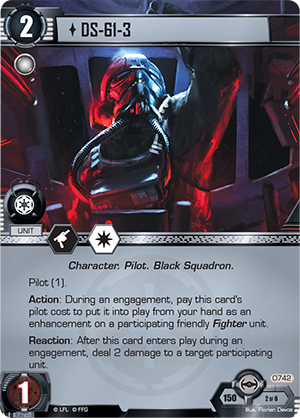 Because the Black Squadron trait is shared by four of the five non-objective cards in this set, you’ll definitely want to include Elite Pilot Training (Draw Their Fire, 744) to chain your discounted Black Squadron cards together. You can increase the power of your Fighters even more with Closed Formation (Attack Run, 786). While you have this enhancement in play, every time a Fighter unit enters play, you may place a shield on it. By shielding your Fighters, you grant every Fighter increased durability on its first turn. The extra shields from Closed Formation may prove crucial to keeping your Fighters alive, and with Guarding the Wing (Draw Their Fire, 741), you can give Closed Formation a resource as well, allowing you to play even more Fighters. 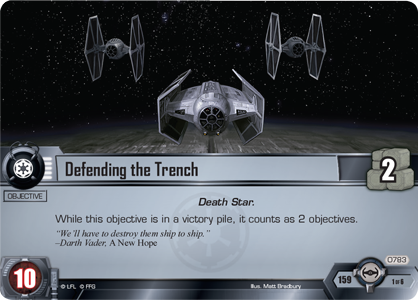 Of course, the true threat included in the Defending the Trench objective set is none other than Darth Vader (Attack Run, 784). 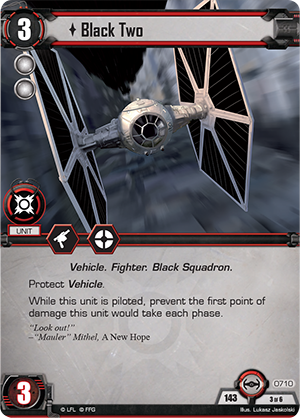 As a Dark Lord of the Sith, this elite unit features a deadly array of combat icons, but you also use him to prevent your opponent from trying any tricks by attaching Darth Vader as a pilot to one of your Vehicles. 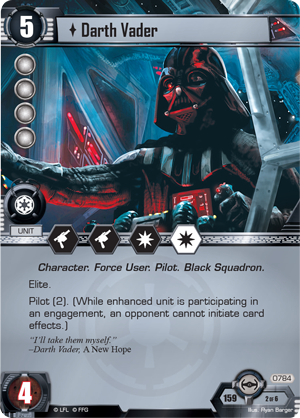 While a unit piloted by Darth Vader is participating in an engagement, your opponent cannot initiate any card effects! 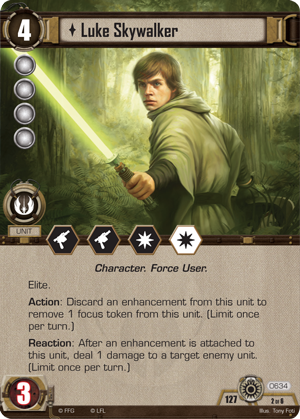 This means all event cards, as well as triggered effects like Luke Skywalker (Between the Shadows, 634) and Chewbacca (Edge of Darkness, 319) cannot be used. 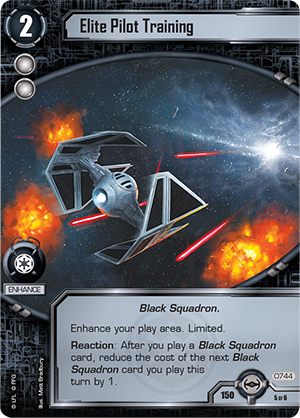 By effectively neutralizing most of your opponent’s abilities, you give a distinct edge to Black Squadron in the coming combat. You’ll find another powerful Fighter to aid your cause in Vader's TIE Advanced (Attack Run, 785). This Fighter features powerful combat icons, including a tactics icon, which is especially useful in Fighter decks. More importantly, however, it also bears the text, “Reaction: After this unit is focused to strike, reveal the top card of your deck. 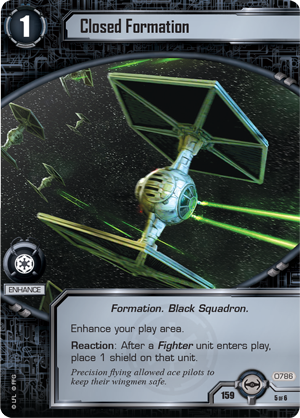 If it is a Black Squadron card, put it into play, if able. 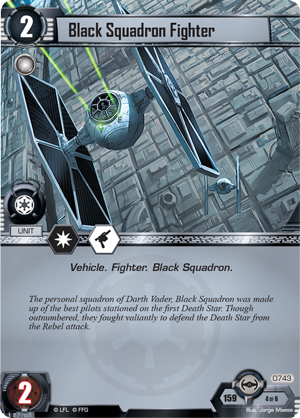 Otherwise, return it to the top of your deck.” By potentially bringing in new cards like Black Two (Ready for Takeoff, 710) or DS-61-3 (Draw Their Fire, 742) for free, you can quickly increase the firepower available to your Fighters. Despite the power of Black Squadron, you’ll still fail in your mission if you cannot destroy those who dare to attack the Death Star. 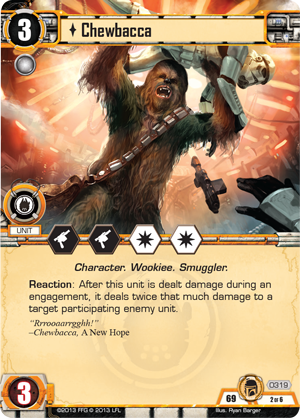 This set concludes with the new fate card included only in this Force Pack: I Have You Now (Attack Run, 787). This fate card only contributes a single Force icon to your edge total, but if you win the edge battle, you can destroy any participating enemy unit. This sudden destructive power could turn the course of the whole game if your opponent cannot escape. Will you fly with Luke Skywalker and the other Rebel Alliance aces? Or will you take to the skies with Darth Vader and destroy the Rebel scum who have so impudently attacked the Death Star? The Attack Run Force Pack is your chance to reenact the finale of A New Hope. Pick up your copy of Attack Run at your local retailer today!